Is it more effective to train outdoors than in? In 2003 a woman with Parkinson’s Disease was the stoker on the back of tandem. To keep the pace being set by the male captain, she had to pedal much faster than was easy for her during the ride across Iowa. The happy result was that the symptoms of her degenerative disease were lessened significantly. Since then, repeated intense exercise has been considered a good way to mitigate the debilitating symptoms of Parkinson’s Disease. 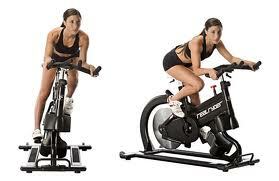 One result is that patients have been encouraged to work out on stationary bikes in gyms. As many cyclists know, this experience just doesn’t compare to riding the open road. It lacks the movement, fresh air and engagement with the real world that is afforded by a real spin. Now research has shown that intensive cycling hard out on the road could benefit a person with early Parkinson’s Disease more than the same level of exercise on a gym bike. “If person’s living with Parkinson’s were to be free to ride safely on a recliner bike or tandem bike, the external cues of other people on the bike trail and wildlife may do more for the person and their disease than riding on a stationary bike at home,” says Megan Joanna Avilla, in her Masters thesis, Acute effect of intense exercise on rhythmic gait in persons living with early Parkinson’s Disease. She may be right. The experience of changing scenery, moving air, seeing people and sensing the environment might enhance the physiological effects of exercise. If Megan Joanna Avilla’s thesis is correct, does it mean that all outdoor training for any cyclist is more effective than exactly the same exertion on rollers indoors? Do our bodies get fitter by riding through the open air than within four walls? The implication for all cyclists, including those without Parkinson’s Disease, is that working out could be better than working in. How much better? Has this been tested? If not, I volunteer (weather permitting). This entry was posted on 27/01/2014 at 12:31 pm and is filed under Exercise, Fitness, Performance, Physiology, Training. You can follow any responses to this entry through the RSS 2.0 feed. You can leave a response, or trackback from your own site.